Entry-level smartphone category, primarily under Rs 5,000, does not offer good options to choose from. Even though there is a huge market for these smartphones, the segment mostly offers low-quality hardware that struggles to support the custom Android software. Load applications and content and the device starts slowing down. Thankfully, Google has acknowledged the need for having a lighter version of the Android operating system for low-specification devices to run smoothly. And the Redmi Go runs on just that - Android Oreo (Go Edition). Available at Rs 4,499, this isn't a fancy smartphone. But, despite being made of plastic, it doesn't look cheap. Xiaomi has added a five-inch HD display at the front, which seems to be bright with decent sunlight legibility. The touch response is pretty good and there are three navigation keys below the display. The one in the middle is the 'home' key, on the left is the 'multitasking' key and on the right is the 'back' key. As the keys are not backlit, I initially found them a little difficult to use at night but quickly got a hang of it. The device houses the volume key along with the power button on the right, 3.5mm jack for the headphone at the top, two SIM trays (the second one also has a dedicated slot for a memory card ) on the left and the speaker grill and charging port at the bottom. For charging, it continues to have the microUSB port and the charger is bundled in the box. However, a headphone isn't a part of the box as Xiaomi does not include headphones in its Redmi range to keep the cost as low as possible. Lastly, even though fingerprint scanners have become common these days, we rarely see them in this price category. So, to protect your device, you will have to rely on the pin, password or pattern lock. Given the price it comes at, the overall look and feel of the phone is impressive. The plastic used has a soft finish that makes it easy to grip. And at 137 grams, it doesn't feel heavy either. The phone is available in classic black and a blue variant. Many people find setting up an Android device cumbersome, but this is fairly easy for Redmi Go. Just insert your SIM card and follow the instructions. The device will ask you to connect to a Wi-Fi network, if available, followed by entering Google account details. If you don't have these, fret not as you can always skip steps and start using the device. But to download apps such as WhatsApp, Facebook, Amazon and others, you will have to enter your Google account details. Being a touch device, there is a huge screen estate in comparison to the feature phones with a physical keypad. And, the user interface is rather neat and simple. Once you set up the phone, you will see some application icons on the home page. These are shortcuts that you can add to the homescreen to quickly open apps. These are customizable. You can remove them anytime from the homepage and new ones can be added. At the bottom row on the home page, you can add up to five icons that will remain standard across pages on the home screen. Swiping up from the bottom of the screen loads the application tray, where all the installed apps can be found. If you find it a little confusing to look for the app, the search bar at the bottom comes handy. If you are keen about testing the voice assistant that you often see in Google's advertisements on the TV, you can access it by long pressing the home button. Android user interface is intuitive, and you won't really do anything wrong. If you feel you are lost somewhere and don't know a way out, you can simply press the home button. Android Oreo (Go Edition) is a trimmed down version of the power-hungry OS, which is designed to work flawlessly with limited memory and processing power. Not just the operating system is light but also pre-installed Google Apps. Preinstalled applications include Google Go, YouTube Go, Gmail Go, Assistant Go, Maps Go, Chrome browser, Facebook Lite, FM Radio, File Manager, Calendar, Calculator and more. While streaming videos on YouTube Go, it displayed the storage available on the phone and gave an option to download the video in basic, standard or high quality (and watch it even with occasional internet connection). Similarly, the Maps Go app I was given had quick access to choose between drive, two-wheeler, walk and public transport. There are a few apps preloaded by Xiaomi as well - Mint browser, Mi Drop for sharing files, Mi Community and Cleaner. There wasn't any lag while using Facebook (standard and not lite edition), WhatsApp, Amazon and gaming. Of the 8GB onboard storage, close to 2.3GB was occupied by the system and 1.3BGB by applications. The Cleaner app comes handy for cleaning the trash quickly. While the phone supports two SIM cards, both cannot be used at the same time. The phone is powered by Qualcomm 425 processor and is paired with 1GB of RAM. The 3000 mAh battery lasted me a day and a half on average use. Redmi Go houses an 8-megapixel camera with flash and HDR. The camera application is neat with photo, video, square and manual mode. The images captured during bright daylight looked decent but wasn't impressive during the night as the shots had a lot of noise. While the camera was quick to capture images, it took a few seconds to click an image with HDR turned on. While capturing images, I was able to add filters such as vivid, film, amour, calm, black-and-white and more. Photos was the default gallery application, using which I was able to update all images on the cloud and free space on the phone. For selfies, there is a 5MP camera with AI Beautify that captures decent images. 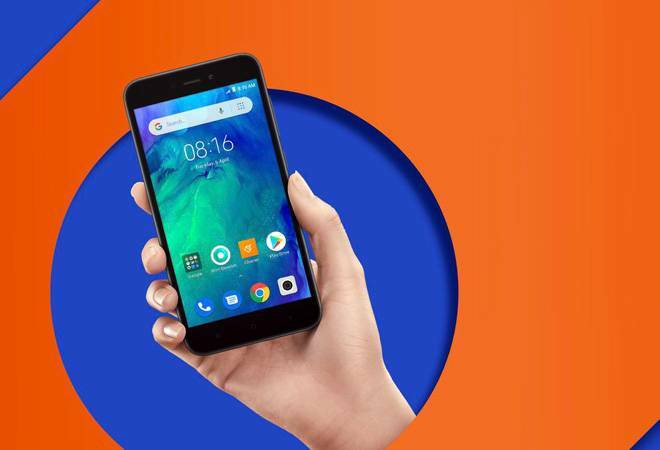 All in all, Redmi Go for Rs 4,499 is a great buy for first-time buyers or even those who want to switch to a good Android smartphone under Rs 5,000. If you are flexible with your budget, you can consider Redmi 6A for Rs 5,999.